You have already completed many steps along your personal and unique Yin Yoga & Anatomy journey. In this teacher training we complete the yin yoga practice and yoga anatomy theory. We focus our attention on the individual bone structure, muscles and facial chains of the upper body and discover the implications for our yin and yang yoga practice. Through many different tests, analysis, variations and suggestions for therapeutic benefit e.g. shoulder neck pain, we learn to appreciate the person as a whole. Students must have completed Yin Therapy's YYTT I and II courses to be eligible to participate in our YYTT III. 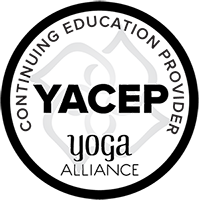 On successful completion of all assignments and 100% attendance of this training, students will be awarded a Yoga Alliance 50 hour certificate which can be counted towards our 200 hour Yin Therapy Yin Yoga & Anatomy Teacher Training course or Continuing Education hours with Yoga Alliance for registered teachers. 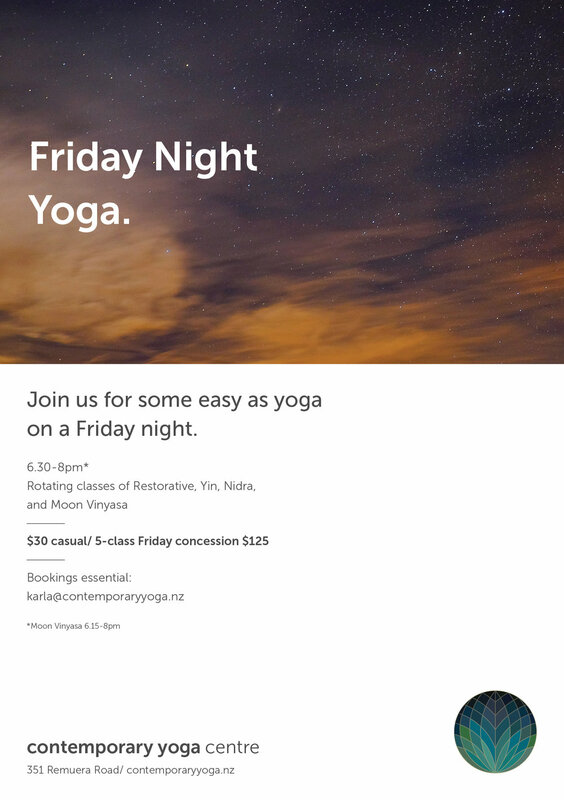 Yin Therapy, together with 4 dedicated and experienced Yoga teachers at Contemporary Yoga Centre in Auckland, will be offering Friday night rotating Yoga classes of Restorative, Yin, Nidra and Moon Vinyasa. Please click here or on the image to the right to view the flyer with the complete 2018 listing of Friday yoga offerings. Alternatively click here for a downloadable PDF with detailed information regarding the course content. No booking required. Just come on by to Sanctuary Hill Retreat! 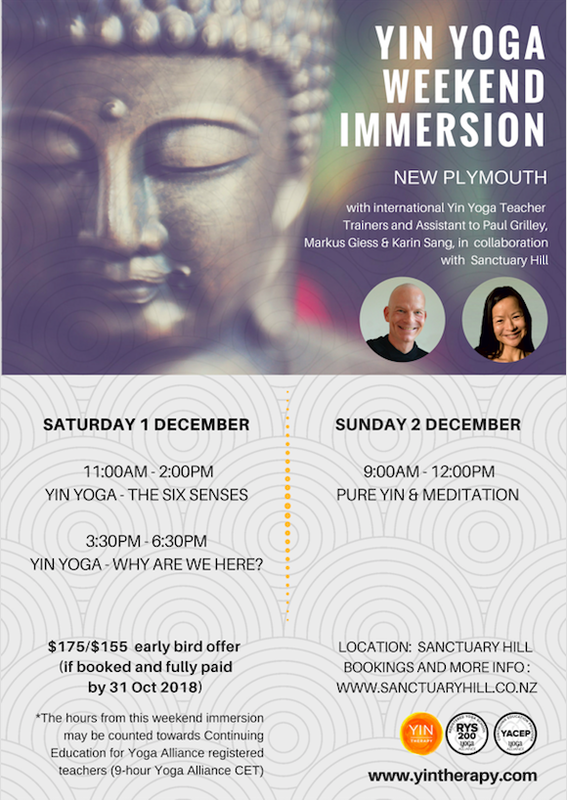 This Yin Yoga Weekend Immersion is suitable for yoga teachers and also yoga students wishing to learn more about yin yoga and yoga anatomy. 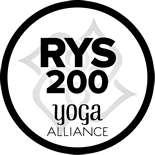 We will draw on the theoretical knowledge we have gained from the previous day and immerse ourselves in a luxurious practical 3 hour meditation and yin yoga asana practice. We will experience and discover for ourselves, that when we listen to our bodies, acknowledge, and respect our very unique and individual alignment, the asana practice becomes a profoundly powerful mental, energetic and physical practice. Everyone welcome. No booking required. The hours from this masterclass can be used towards Continuing Education with Yoga Alliance for registered teachers. Please click here for a downloadable PDF with detailed information of the course. In this element of the training course, we’ll focus on applying the 7-point analysis principle for assists and – working with the student – study ways of analysing yoga poses on the basis of compression and tension, orientation of the joints, and proportions. - Learning the reality from a different perspective and in doing so, reducing stress. - Learning to focus one's awareness and perception for what it really is. - Learning to know one's mind through thought, emotion, reaction. No booking required. Just come on by to Modern Yoga Napier! On successful completion of all assignments and 100% attendance you will be awarded a 50 hour Yin Yoga & Anatomy Teacher Training certificate which may be counted towards our Yoga Alliance internationally recognised 200hr Yin Yoga & Anatomy Teacher Training certificate or recognised as continuing education hours or Yoga Alliance registered yoga teachers.